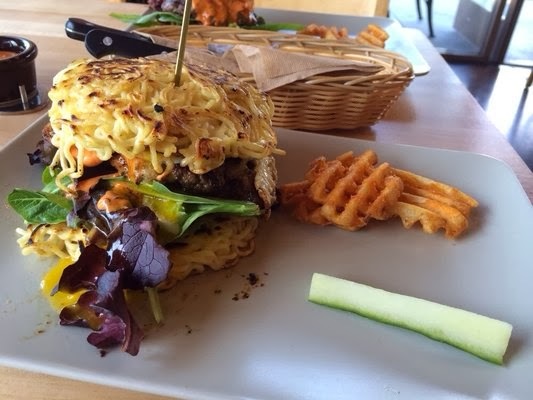 Toro Burger has opened in Santa Ana and is serving Ramen "buns" to hold their burgers. 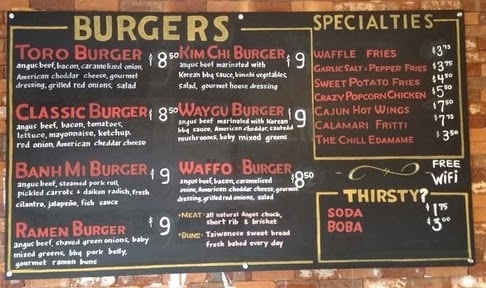 They also have a Banh Mi Burger, but that's not why people are waiting hours in line. Labels: Best Burger, Lunch Time, Santa Ana, The Weekend Update, What's for Dinner? mmmm i don't know about this, because... a burger without sauce?! I totally agree. I think a burger is really ketchup with some food on the side. It's official. Now I've heard everything. 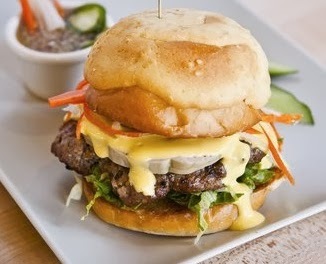 there's no cutting this burger and half for your doggie bag...go big or go home?